When it comes to kitchen remodeling, one of the most important decisions you can make is choosing a countertop material that will best suit your needs. When thinking of factors like design, appearance, and functionality, determining the ideal material can be quite a challenge. As the premier design firm servicing the homeowners of Monmouth, NJ, Devine Creations Design Center offers a broad range of high-quality kitchen and bathroom designs, remodeling services, and products. Quartz: For maximum durability, quartz is an ideal material for your new countertops. It’s one of the toughest materials available, which means your counters will last for years without sacrificing its lovely appearance. Granite: Granite countertops are a favorite among homeowners; it’s an elegant choice. However, the natural stone isn’t only beautiful to look at, but it’s also able to stand up to heat and requires very little maintenance. Marble: For a more luxurious appearance to your kitchen, consider installing marble countertops. The waterproof and heatproof surface is a beautiful choice, especially for kitchen islands. It’s a high-quality material with classic appeal. Tile: Produced with either ceramic, glass, or porcelain, this style of countertop allows for versatility. It comes in a seemingly endless variety of shapes, colors, styles, and sizes. 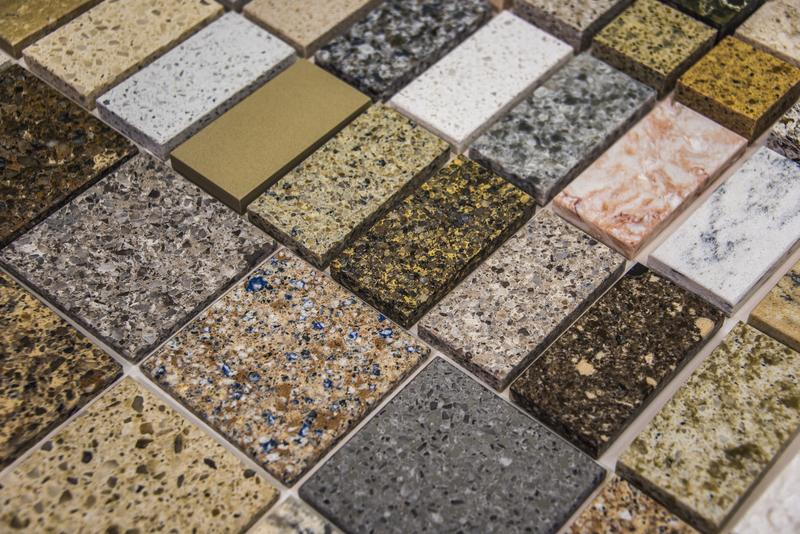 The abundance of tile selections is perfect if you prefer a durable custom kitchen design. Reclaimed Wood: Reclaimed wood is sourced from many places, including commercial buildings, warehouses, and barns. The floor boards and beams used to produce reclaimed wood adds a warm and organic element to your kitchen, and the natural imperfections of the wood give it an appealing sense of character. Reclaimed wood is an excellent option if you desire the look of natural wood for your kitchen remodeling project. Whether you're interested in kitchen remodeling or a full home remodel, don’t hesitate to contact the professionals at Devine Creations Design Center to help you make your dream home a reality. Call today at (732) 856-9661 to speak with a friendly representative. You can also visit them online to browse their impressive inventory.